Cellulite – Suffer no more!! Home » News » Cellulite – Suffer no more!! Cellulite – 90% of us suffer with it….. but suffer no more!! Recent statistics showed a massive 90% of women suffer with cellulite and only 10% of men have the condition. This is because men store fat cells slightly differently to women, so therefore it does not effect the connective tissue (septae)which pulls down on the skin (causing dimpling) once the fat cells enlarge. Cellulite (also known as adiposis edematosa, dermopanniculosis deformans, status protrusus cutis, gynoid lipodystrophy, and orange peel syndrome) is the enlargement of subcutaneous fat within fibrous connective tissue (septae) that manifests as skin dimpling, often on the pelvic region (specifically the buttocks), lower limbs, and abdomen. ◾Hormonal factors – hormones likely play an important role in cellulite development. Many believe oestrogen, insulin, noradrenaline, thyroid hormones, and prolactin are part of the cellulite production process. ◾Genetics – certain genes are required for cellulite development. Genes may predispose an individual to particular characteristics associated with cellulite, such as gender, race, slow metabolism, distribution of fat just underneath the skin, and circulatory insufficiency. ◾Diet – people who eat too much fat, carbohydrates, or salt and too little fibre are likely to have greater amounts of cellulite. ◾Lifestyle factors – cellulite may be more prevalent in smokers, those who do not exercise, and those who sit or stand in one position for long periods of time. ◾Clothing – underwear with tight elastic across the buttocks (limiting blood flow) may contribute to the formation of cellulite. Exercise – Cardio exercise increases fat burning. Diet – Avoid processed foods and junk foods. And remove foods that contain refined carbohydrates, sugars, and saturated fats. Treatments – Promax Lipo is our most popular and successful treatment in treating Cellulite and can improve the appearance of cellulite by 2 grades. BOOK IN FOR A FREE PROMAX LIPO TREATMENT CALL ON 02392382000 NOW!! 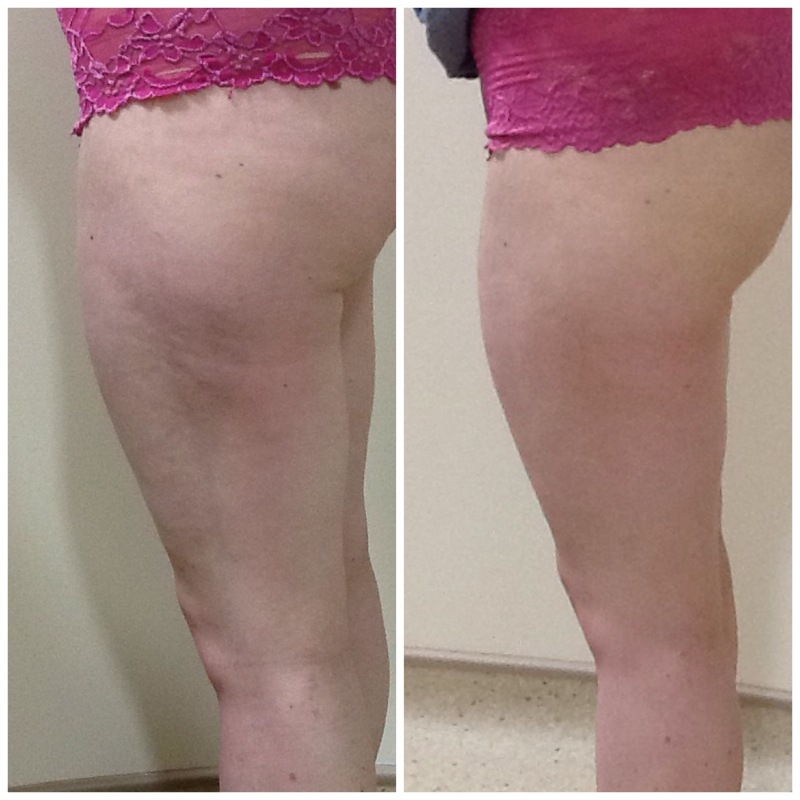 Emma had done so well to get to her target weight but just couldn’t get rid of the stubborn fat and cellulite on her thighs. She was also left with saggy skin around the legs and tummy. After a course of Promax on each area, Emma couldn’t believe the results.